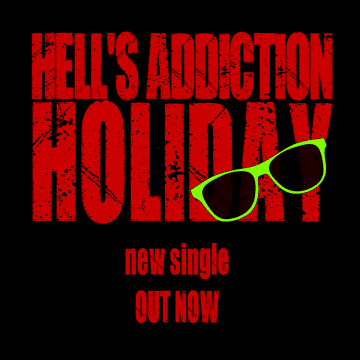 U.K. hard rockers Hell’s Addiction have released a video for their song “Holiday” which features family photos and memories submitted by their fans. “Hell’s Addiction pounce with a mighty salute to the good times only a colossal injection of rock n roll can bring. Hell’s Addiction consist of lead vocalist Ben Sargent, guitarists Liam Sargent and Dan Weir, bassist Jason Green and drummer Luke Morley.